Reduced size, mid sagittal section of the male pelvis. Base displays three 3-dimensional cross-sections of the prostate gland. 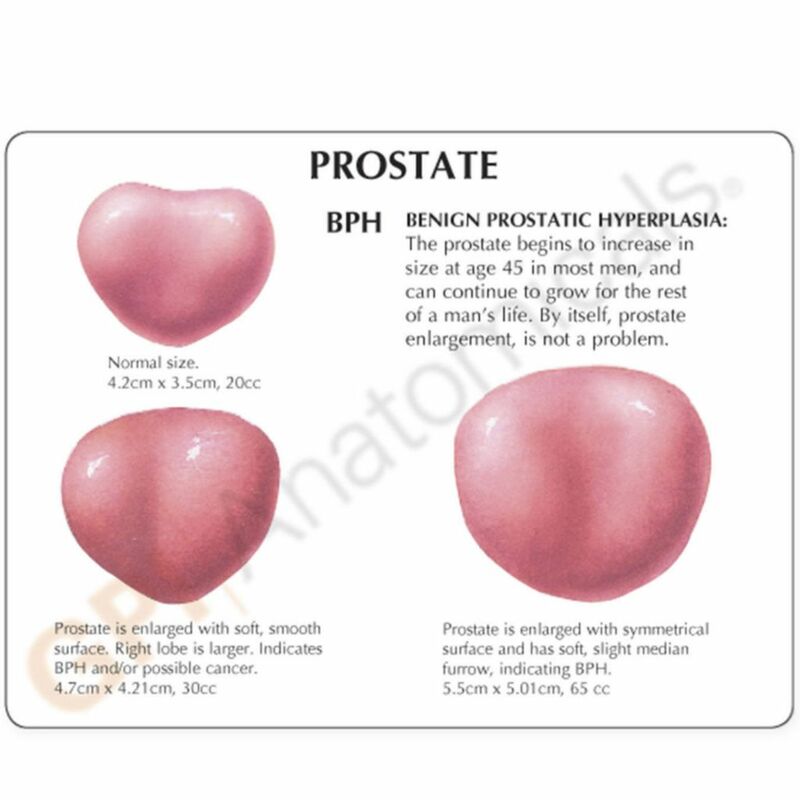 Sections represent stages (normal, moderate, advanced) of BPH (Benign Prostatic Hyperplasia/Enlarged Prostate).